So many great things came from GABF (The Great American Beer Festival) week and one of my favorites was the release of multiple 16oz 4-packs from Cerebral in Denver. Don’t get me wrong – I love a good crowler but it’s far easier to sip on a cool 16 ounces on a weeknight. Unable to make a choice I took home everything (all five) that were available and now I am thinking I should have doubled up on that. While it’s nearly impossible to pick a favorite – I can’t tell you how much I dig being able to crush the DDH (Double Dry Hopped) version of the standard Rare Trait at home. Visual: Straw colored haze with a fluffy head. Aroma: The tropical – citrus (hints of even pineapple) fragrance grabs your nose as soon as the beer starts flowing. The second sniff gets you a bit more of the dank – minimally piney undertones. 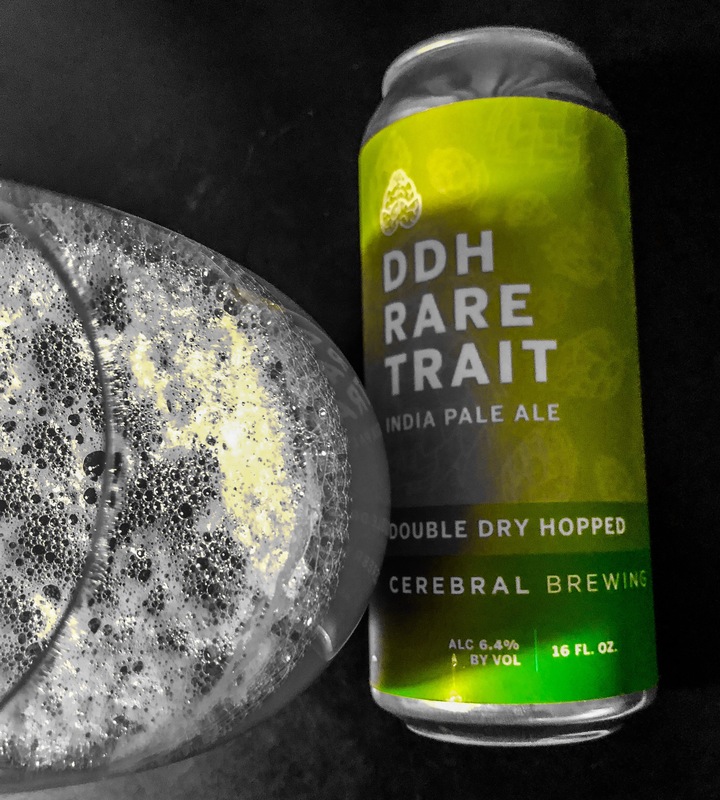 Taste: This silky smooth hazy IPA is what you come to expect from Cerebral. It’s juicy, dank and has the mouthfeel you long for in this type of beer. This takes what you love about the original Rare Trait and pushes every hop boundary. You don’t have to be a hophead to love this beer but it makes any hophead smile with delight.